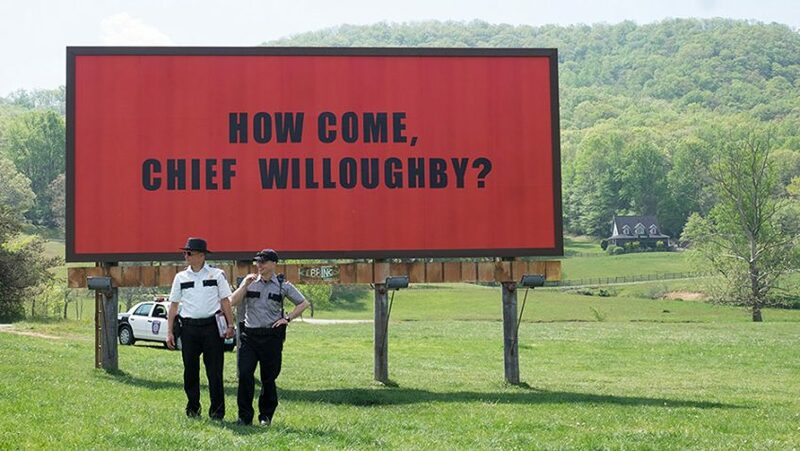 Three Billboards Outside Ebbing, Missouri (Fox Searchlight Pictures). A teenager has been abducted, raped and murdered. 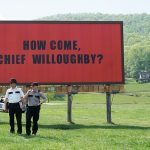 Her grief-stricken mother feeling the police are doing nothing to find the murderer puts up three billboards: 1) Raped whilst dying; 2) And still no arrests; 3) How come Chief Willoughby? The script is by playwright/ screenwriter Martin McDonagh who also directs. The film, McDonagh’s best since In Bruges, should have won the Oscar for Best Picture, being far superior to The Shape of Water. Frances McDormand well deserved her Oscar for her performance. There is excellent support from Woody Harrelson as the police chief and Sam Rockwell as the none-too-bright racist policeman; though why Rockwell was thought more worthy of an Oscar than Harrelson (who was not even nominated) is not clear. 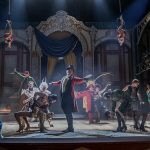 The Greatest Showman (20th Century Fox), generally underestimated, has surprised everybody with its success at the box office and in the charts. Phineas Taylor Barnum (1820-1891), The Prince of Humbug, was a master of self-promotion, famous for his outrageous lies and the greatest show on earth. He exploited freaks and animals, firstly in a waxwork museum, then in a theatre and, when it burnt down, in a big circus tent. A sucker is born every minute, he said. His most famous promotions were the singer Jenny Lind, the Swedish nightingale, General Tom Thumb (only 3.25 feet high) and Jumbo, the elephant. Michael Gracey directs this musical biog with big, brash spectacular and colourful flair. The songs are pop anthems and ballads. Hugh Jackman is Barnum. Rebecca Ferguson is Jenny Lind. Keala Settle is the bearded lady and she has the best song, “This is Me”. 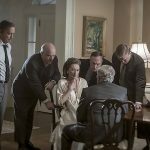 The Post (Entertainment One). Steven Spielberg directs the prequel to All the Presidents Men and Watergate. In 1971 The Washington Post us under terrific pressure as to whether it should publish the Pentagon Papers and violate a court order and risk bankruptcy, closure and prison. The 200-page classified document (provided by a whistleblower) proves conclusively the government has misled the public for 30 years about the war in Vietnam, sending young men to die, knowing the war is unwinnable. Meryl Streep plays the publisher. Tom Hanks plays the editor. The film’s message (aimed at the Trump administration) is spelled out: newspapers serve the governed not the governors, who must always be held accountable. The Old Dark House (Eureka), James Whale’s famous old thriller, a 1932 follow-up to Frankenstein, and now fully restored, dilutes J. B. Priestley’s social commentary and concentrates on the Gothic creepiness of the rotting house. There is no musical soundtrack, just thunder and lighting. You feel something nasty might happen at any moment. The cast is a gallery of theatrical oddities. Boris Karloff’s butler, dumb and drunk, is a lumbering monster with a great make-up. Ernest Thesiger, with his flared nostrils, is a highly strung aristocrat. Eva Moore cackles away about sin and lust. Bramber Willis is the tiny madman who is let out of the attic. An old bedridden man is played by a woman, Elspeth Dudgeon. The stranded visitors include Charles Laughton and Raymond Massey. There are some striking images: a face in a cracked mirror, a hand on a banister.